It was in 2012 and with the arrival of Black Ops II that the series decided to dabble in its own unique brand of futurism. 2013’s Call of Duty: Ghosts depicted a more dystopic, Walking Dead-like desolation, but then the proverbial chains keeping the series on the ground grew weaker with 2014’s Advanced Warfare and 2015’s Black Ops III. Then, those chains totally came off with last year’s Infinite Warfare, which launched the franchise into a militaristic vision of space-based combat (which was actually better than a lot of people gave it credit for). 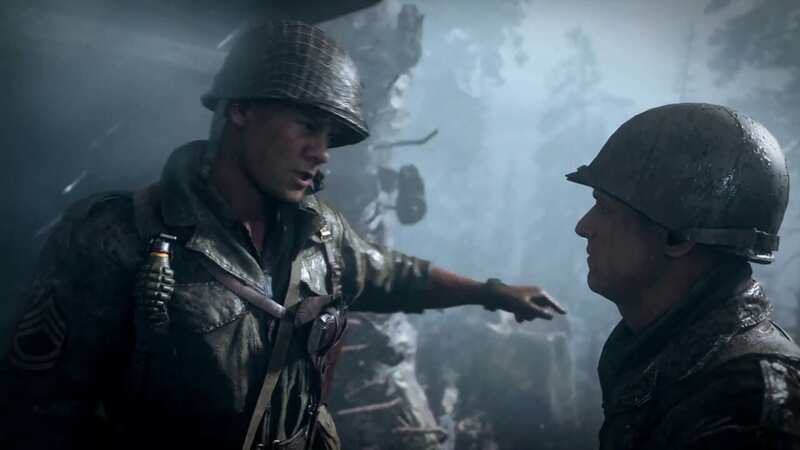 By bringing the series back to the era that initially defined it, Activision and developer Sledgehammer Games make a notable declaration about the series and its potential future, but it also presents an interesting conundrum. Can Call of Duty: WWII meld together all the innovations added to the series over the past nine years to drag World War II-era gameplay onto the visual and mechanical capabilities of modern hardware? Let’s dive in and take a look. Though the series is jumping back in time upwards of 70 years, it is by default the most graphically advanced game in the entire series. Supporting High Dynamic Range (HDR) on PC, Xbox One S and X, and PS4, the blinding sunlight of the European countryside on a display that can support it definitely helps you to feel like you’re walking on the European front of the war. During the review period, we played the game on both an Xbox One S and an Xbox One X, and if you have the more advanced version of your console — whether it’s an Xbox One X or a PS4 Pro — the game absolutely takes advantage of the greater horsepower that these consoles have, with the Xbox One X edging out its Sony counterpart in more regularly hitting a full native 4K at 60 frames-per-second. The production design of the game is breathtaking, and feels like Sledgehammer absolutely did their due-diligence in going as far as they could to accurately represent the World War II era. 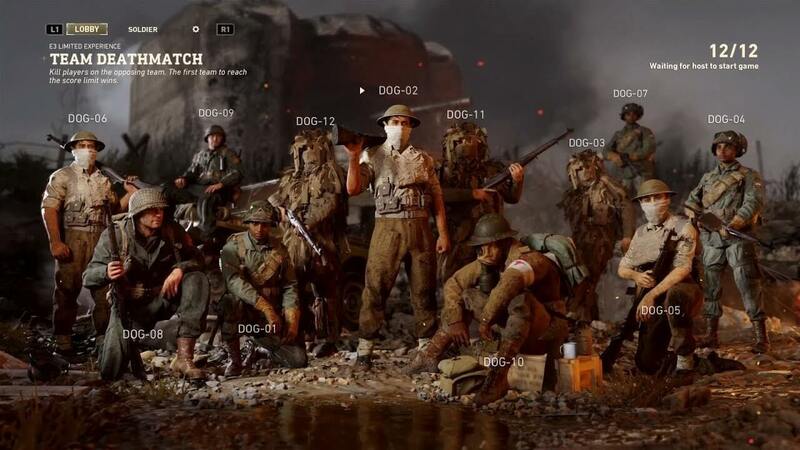 Whether it’s the bunkers you storm, the blood in the water, the uniforms, insignia, weapons, or sound effects, Call of Duty: WWII absolutely feels true to the era it’s charged with representing. That’s all well and good, but more importantly, how does it play? While the original Call of Duty games tended to shift between several different player characters across different powers of a conflict, the series has basically stuck to one single player character and protagonist since Sledgehammer Games’ first solo effort in the series, 2014’s Advanced Warfare. Call of Duty: WWII continues this trend by focusing on the exploits of a young US Army Private First Class named Ronald “Red” Daniels. Much like the now-classic Steven Spielberg war epic Saving Private Ryan, the campaign mode for WWII begins on the beaches of Normandy, France on June 6th, 1944. You’re dropped into the action, storming the beach with other Allied soldiers to begin to retake the Nazioccupied nation, and the opening battle can only really be described as visceral. While the return of non-regenerative health should be a welcome surprise for series loyalists and players looking for a true challenge, the truth is that it’s not nearly as unforgiving as it used to be. Right beside you on most missions is a fellow US soldier, Private Zussman, who is ready to toss you a fresh medical kit after a specific cooldown period that changes based on the selected difficulty, and how many enemies you’ve killed. That makes the returning mechanic a bit watered down when compared with the days of scouring a map to find a precious health boost as you had to do in the original game, but it still makes enough of a core change to the way you play that you can’t help but notice it. From a narrative perspective, while it probably wouldn’t be fair to characterize the story in WWII as anything near “groundbreaking,” it’s a perfectly serviceable tale with a tone and execution that makes it very memorable from moment-to-moment. 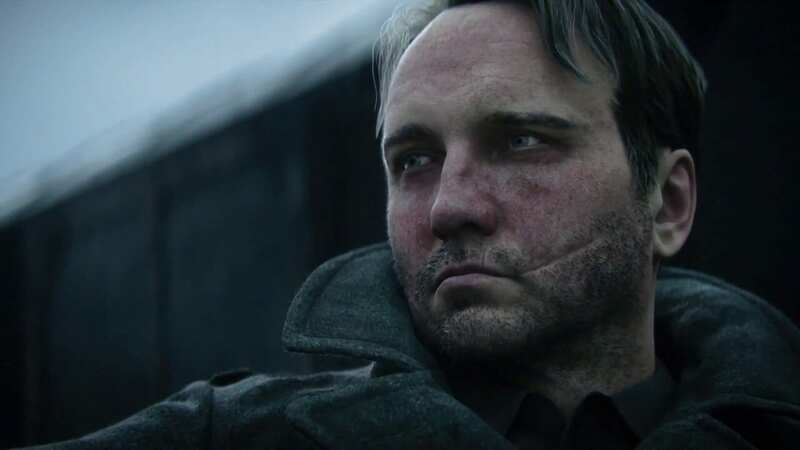 Much like other recent CoD campaigns, our hero is more reflective and introverted than he is a gung-ho “Nazi killer,” and that makes for some surprisingly heartfelt moments with fellow soldiers as well as some appropriate shock when witnessing the brutal horrors of warfare firsthand. Sledgehammer continues their trend of solid character work that they showed us in 2014’s Advanced Warfare, and while Red Daniels isn’t quite as memorable as some of the people we met in the last Sledgehammer-developed CoD game, the continued focus on a single person really does help a more personal story come through in the massive undertaking that was the Second World War. All in all, the return to a World War II-era setting arrives with very positive results. While some elements of overall gameplay developed through recent entries are understandably abandoned — like wall-running and perceptive upgrades, to name just a couple — Call of Duty: WWII makes for an engaging and visceral single-player experience. 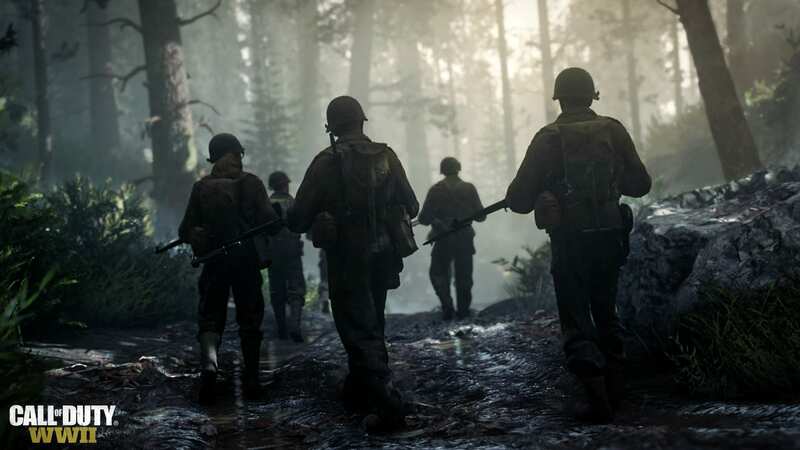 The visual and auditory authenticity to the era is nearly overriding, replicating the weapons, tools, uniforms, and environments with enough apparent accuracy to put the best filmmakers to the test, and a CoD campaign hasn’t felt this simply brutal since 2008’s World at War. That counts as a win in my book. 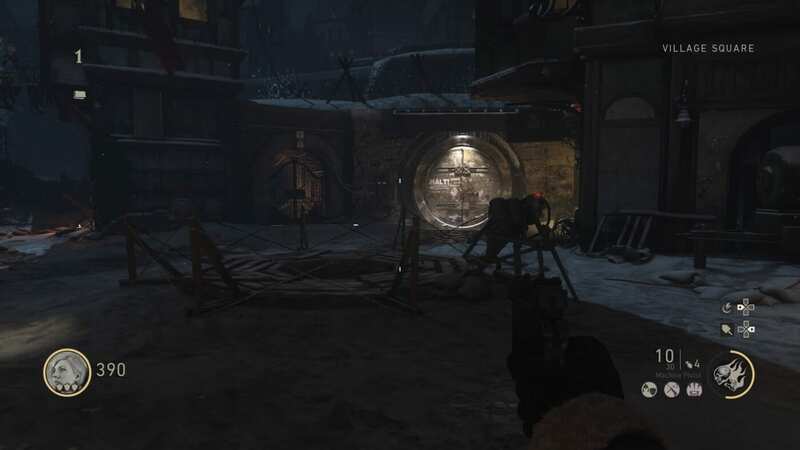 While the locomotion and futurism-inspired character enhancements have been done away with in order to more properly represent the era the game takes place in, WWII does an admirable job in melding together an old school feel with some decidedly new school mechanics for the Call of Duty series’ most annually popular mode. While there are some core fundamental differences to what we’ve seen from years past, this is still definitely a Call of Duty game when you go online: snipers, spawnkillers, and mom-insults-from-ten-year-olds all around. Toxic community aside, Sledgehammer’s attitude towards multiplayer this time around has a similar “back-to-basics” approach that seemed to guide the development of the campaign. Doing away with the quasi-futuristic setting brings WWII back to the boots-on-the-ground style of competitive play that series diehards have been clamoring for, but that’s not to say that the developers haven’t added some new innovations to the mix on order to vary the experience even further. This is likely most visible when you actually boot the multiplayer element of the game up for the first time. Returning from 2008’s World at War, the specifically-branded “Nazi Zombies” mode brings back the gritty, yet slightly campy sense of humor with a memorable cast and some engaging maps. While some previously longstanding elements of the Zombies game mode have been excised from WWII’s offering, they change out the previous perks system with a class loadout for your character and some passive power-ups. The most visible change to the mode, though, is the addition of a new form of currency you can only get by killing zombies: “Jolts.” Acquiring these Jolts is now pretty much the name of the game here: they will fund you with new weapons, unlocking doors, and character upgrades, and stand as the most visible sign of progress that you’ll see as you and your team struggle against each successive wave of the hungry undead coming for your flesh. Call of Duty: WWII is, for all intents and purposes, one hell of a homecoming for the entire series. While the quasi-futuristic entries weren’t as bad as some of the groupthink out there might make you think, it’s easy to see that a return to the inaugural era that the original games first explored over a decade ago has helped to make the Call of Duty series distinctive again. Headlined by a hell of a campaign mode that’s likely the most honest-feeling and emotional we’ve seen from the series in years, the visceral violence of this very real historical conflict goes a long way in revitalizing every aspect of this experience. This extends to multiplayer, where the exoskeletal and space-based craziness of previous games were starting to get away from the original intent of the series. Now that it’s Allies versus Axis once again, calling on you to push your squad through the sand and the dirt to try and drive out the Nazi menace, it feels like WWII is not just a welcome change of course, but a celebration of everything that made Call of Duty break out in the first place back in the early-mid 2000’s. Call of Duty: WWII's return to the inaugural period is a welcomed one. Headlined by an excellent campaign mode and refreshing gameplay, Sledgehammer Games' latest entry into the iconic series is a necessary one.